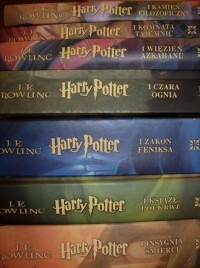 I have been reading these since I was eleven - the story has grown up with me and has remained a constant love. While they may not be the best books written, they provided me with an incredible escape when I was stressed or annoyed, as kids often are, even after I had read the book ten times through. The journey through all of those pages was an amazing one, and to this day I'll still find myself picking up one at random if I'm stressed.